Right now, the new feature is only available in 25 cities in the US. A parking difficulty icon popped up in an Android beta for Google Maps earlier this month, but now the feature is officially rolling out. However, there are a couple of caveats. First, the parking warnings are only available in the Android version of Google Maps for now. The new tool will also only warn you about potential parking headaches in 25 US metro areas. Those areas include San Francisco, Seattle, Miami, Atlanta, Boston, Charlotte, Chicago, Detroit, Los Angeles, Minneapolis/St. Paul, New York City, Orlando, Philadelphia, Pittsburgh, San Diego, St. Louis, Tampa, the DC area, Cleveland, Dallas/Fort Worth, Denver, Houston, Phoenix, Portland and Sacramento. In other words, a lot of the major cities in the US are covered. 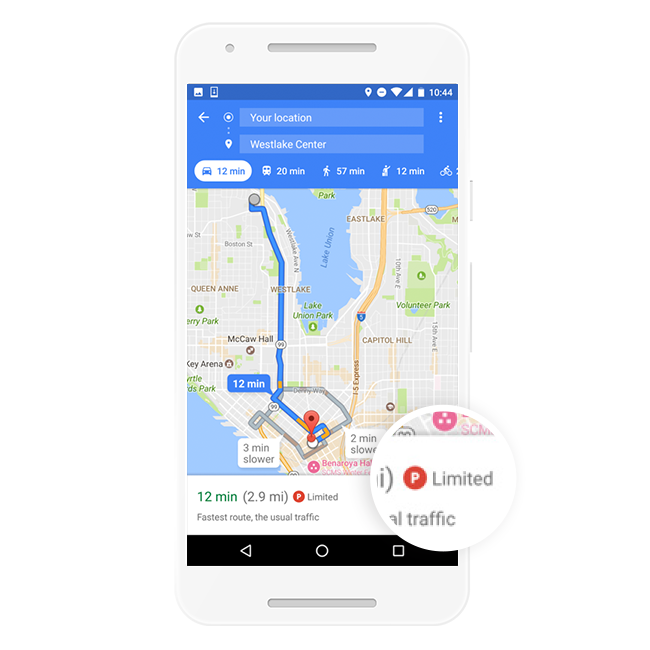 Google explains that it calculates parking difficulty in a similar fashion to how it measures Popular Times and Visit Duration for businesses and other points of interest. You've likely seen those two tools pop up when you search for a place. When it comes to parking, Maps will show you a rating of difficult, medium or easy based on "historical parking data" for the area you're about to visit. The icon is displayed near your estimated travel time as well, so you'll know if you need to leave a few minutes early.